Find a Great Property Management Company! PropertyManagementReviews.org is the best online directory of property management companies. Find and compare services by reading independent reviews of property management companies. We provide reviews from both homeowners and tenants. We post reviews to allow individuals in need of a property management company to better choose the right one for them. Posting property management reviews of the companies you have worked with will help others when choosing a management company. Begin by choosing your city from the dropdown menu at the right of this page. If you haven’t discovered it already, being a landlord can be a real pain. With a rental property management service, you save time finding and evaluating potential tenants for your property. The company handles tenant background checks, rent collection, and maintenance of the property. With a good property management company, you don’t have to worry about any of these things. The manager will perform property inspections, maintain the building and grounds, screen tenants, collect rent, and be on call for emergency situations. Most property management companies charge a 10% fee. Most landlords find this fee to be well worth the cost, especially if you are a “long distance” landlord. PropertyManagementReviews.org allows you to compare objective property management reviews of companies given by landlords and tenants. Search for a residential property manager in one of the cities listed, read the reviews, and make your own decision about the company most likely to do a good job managing your property. Also read this interesting survey of property management reviews. What should you know about Property Management Companies? The entire staff of PropertyManagementReviews.org is here to help you choose a professional property manager or property management software that best suits your needs. We are exceptionally well qualified and have many years of experience in the real estate industry. If you own a property, it’s natural to want to ensure that it is in safe hands. If you’re an owner looking for a property manager, you want to be able to trust the firm in charge of managing your property, collecting fees and finding suitable tenants. The ideal scenario is that you enlist the services of a professional or an agency who cares for the property like you do. 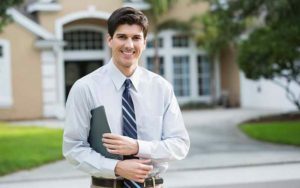 If you’re on the lookout for a new property manager, here are some tips to help you make the right choice and ensure you can enjoy peace of mind for many years to come. One of the best ways to find reputable property managers is to ask around for recommendations. Perhaps you have friends or colleagues who rent out properties, or you know local real estate agents who have experience in working with agencies that manage rental properties. If you only bought the property recently and it was rented out in the past, it’s worth asking the previous owner about their experiences with the management agency. If they offer a glowing report, it may be worth sticking with the same firm. If you don’t have personal or professional recommendations to go on, do some research and find property managers in the area. It’s often best to go with a local firm, as you tend to get a personal touch and the people you liaise with have knowledge of the local area. You can use the Internet to search for listings, peruse some company websites and get an idea of what kinds of services are available. At this stage, it’s wise to read testimonials and check that all individuals and agencies are registered and approved. When you’ve got a short list, make some calls and arrange some meetings. It’s really useful to have face to face conversations and get a feel for the business. First impressions are very important, so have a look around the office and spend a bit of time talking to the team. Consider whether you’d be happy to let this person or group of people manage your property and think about how you would react to them if you were a tenant. Would you feel comfortable renting a property from them? During your meetings, ask as many questions as possible and get as much information as you can about the company, the service and what they offer that sets them apart from rivals. How do they advertise properties? What procedures do they have in place to vet tenants? What fees do they charge? Can you get a quote in writing? How long does it usually take them to find new tenants? It’s a good idea to wait until you have prices, lists of services and any impressive USPs before you make a decision. It’s also really useful to use your intuition and your gut. If something doesn’t feel quite right, don’t feel obliged to sign on the dotted line. If you own a rental home, you want to find a reliable, trustworthy property manager. Hopefully, this guide will enable you to find a fantastic firm that will look after your property without any worries, hassle or stress.